I hope you will join myself (Emerald City Tangles) and my dear friend, Diana McCann (The Tangle Goes On) as we share our love of Zentangle with the City of Wichita on Final Friday, April 29, 2016. 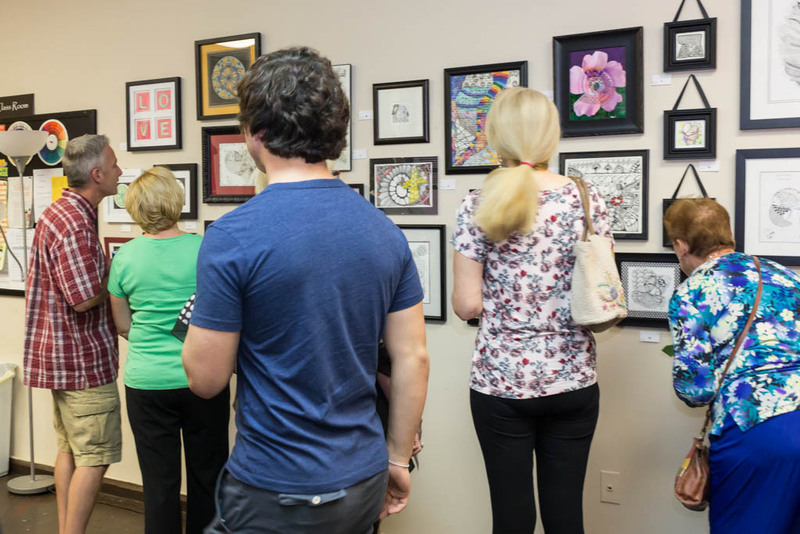 We will be exhibiting our Zentangle art work at Visit Wichita, 515 S. Main St., Suite 115, Wichita, KS, from 6:00 – 9:00 pm, Friday, April 29, 2016. 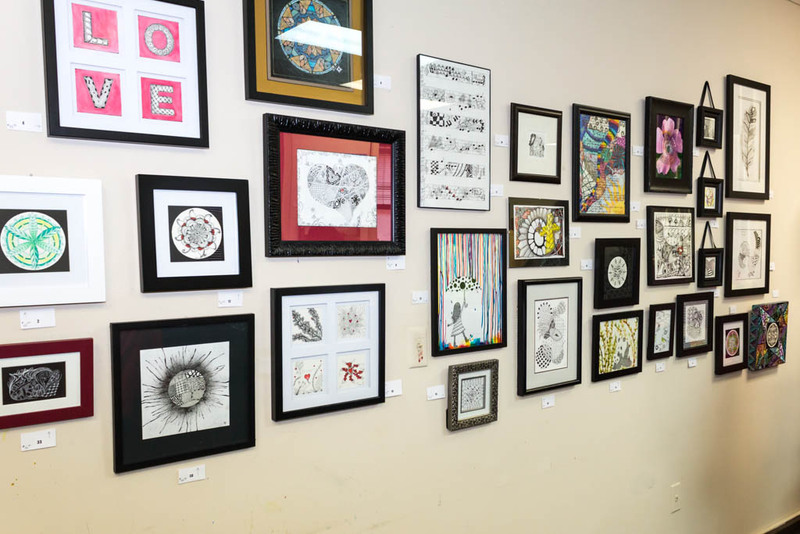 There will be demonstrations, artwork to admire, artwork for sale, light refreshments, and lots of good times as our friends, family and collectors gather to celebrate with us all that we love about Zentangle!! Don’t miss it! 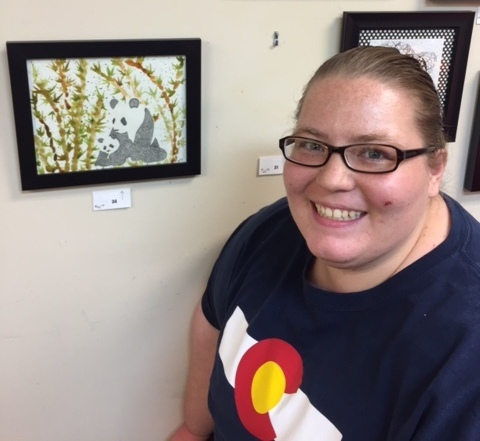 One attendee will be the lucky winner of an original Zentangle art piece. Make sure you when you arrive that you get your ticket for that drawing! Just a quick note to let you know that a guest instructor will be sharing at Emerald City Tangles Studio this month for the next 10 WEEKS!! 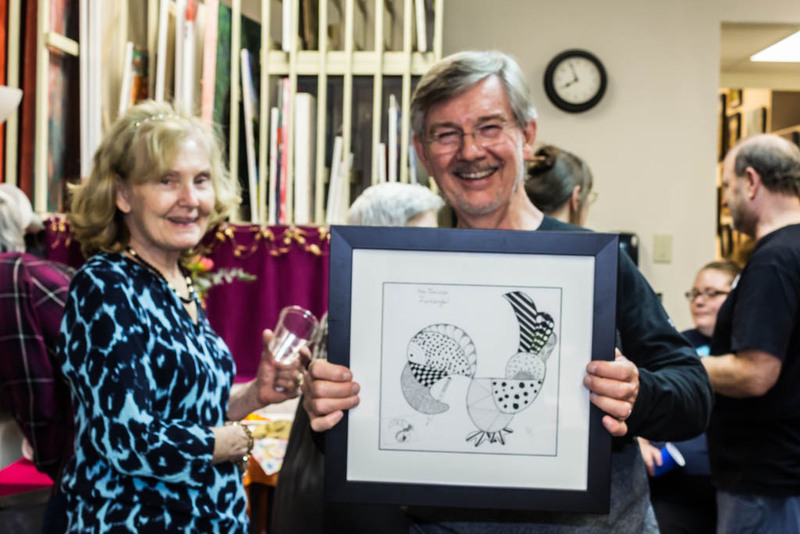 Wilfried Fathi, a local artist with a master of fine arts from Wichita State University, is willing to share his knowledge of paper cutting with a small group of us (Scherenschnitte – it means scissor cuts in German). Many of you may never have heard of the word before but you certainly know what it is once you see it. Remember the snowflakes you used to cut out as a child? That’s a simplified version of it. The art of paper cutting is centuries old, and can be found in most cultures and countries around the world. We can only accommodate six students for this program so it will be on a first-come, first-served basis. Once the class fills, a wait list will be started. This class will be held for 10 weeks on Friday mornings from 10 am – noon, beginning January 29, 2016 through April 1, 2016. A supply list will be forwarded one week prior to the start of the program. Here’s are a couple of pieces from my favorite artists 🙂 If you’d like a copy of the newsletter that features more work from these artists and others, just shoot me an email with “Newsletter” in the subject line and I’ll get it out to you. Wow! The New Year has begun!! Are you looking forward to becoming more creative this year? I know I am! Even the “teacher” needs to be re-juiced and so my plan is to take a couple of courses myself to learn some new things that I can pass along to inspire you this year! Let’s use the energy that comes our way to fuel our excitement and creative juices! A fellow CZT found this cute little test that will help you come up with a word for 2016 if you need a jump start for some inspiration. Perhaps that word could be used in some way for fanning the creativity you desire for this year. When I took it, the word that popped up was “Innovation“. That’s interesting for me, because I don’t necessarily consider myself to be innovative or introducing something new or different. It’s been said that there’s nothing new under the sun, but when I scroll through Pinterest or Facebook, or look at the special groups I’m a part of and see the beautiful creations produced by many amazing artists, it sure seems like there’s something new being done all the time! Wouldn’t it be fun to come up with something innovative?? Something that everyone else just falls in love with and wants to do/copy/share? I’m going to work and massage that word a bit this year and see what comes of it. Feel free to share with me what word you come up with and what it might mean to you. We all need a little renewal to build up our own creativity. So, because I need to renew myself, I’ve decided not to teach a Beginner Zentangle class each month as I have done in the past. However…not to be dismayed! I have contracted with WSU’s community education program to teach a special two-part program – The Joy of Zentangle: Beginner, and Zentangle: Intermediate. Each part will consist of a two-week session. The Joy of Zentangle: Beginner will include the beginner class, obviously, and then cover strings, embellishments, enhancements and shading. Zentangle: Intermediate will consist of Zendalas and Lettering. If you have never taken a Beginning Zentangle class, start with that and take both programs. If you have taken a Beginner Zentangle program from myself or another CZT, you might want to consider just taking the intermediate session. You’ll need to contact WSU directly, so click here. These will be held in March 2016. I’ll also be doing a Painting Made Easy class with WSU. This is open to anyone 15 years and older. You’ll learn a little bit about mixing colors and you’ll have a choice of one of three paintings to create. This two-hour fun paint class will be held in March 2016 and you’ll need to contact WSU directly. On the lighter side of things, I’ll be at the Carriage Factory Gallery in Newton, KS, on Saturday, January 16, 2016 from 10 am – noon to share a Zentangle Valentine’s Day Card making workshop. To add to the fun, if you can stay after the class, I’ll be demonstrating how easy it is to create fun gifts on repurposed ceramics and glassware. 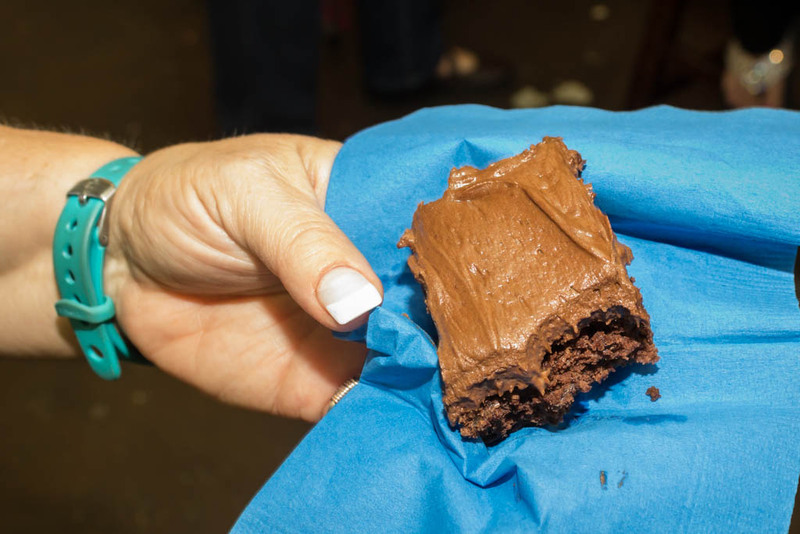 Bring along a plate, mug or wine glass and I’ll let you try out my pens after the demonstration! 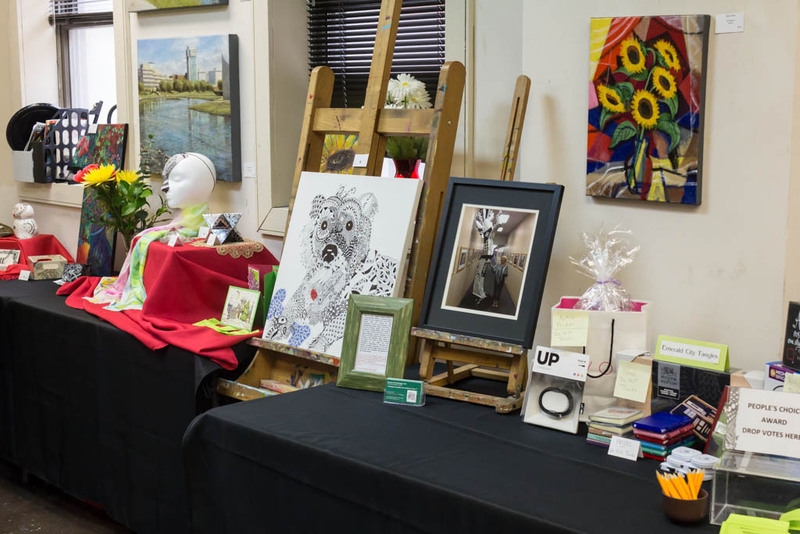 You can sign up here or contact the Carriage Factory Gallery directly. So, there you have it! Here’s to a great 2016!! My coach, Whitney Freya, is always talking about infinite possibilities…”Just like the blank canvas, infinite possibilities exist in the art that is your life,” and “Life is the canvas of your soul”. That is so, so true. I had NO IDEA at the beginning of 2015 what an adventure I was in for. Sometime at the very beginning of the year I posted some art I was working on in a Facebook post and it prompted an old friend to comment, “you need to be a part of our tribe”. What the heck? It turns out this friend had taken the Creatively Fit program from Whitney a few years before and was thoroughly enjoying the “infinite possibilities” that had now become a large part of her life. Always being open to new opportunities and because I was beginning to allow my creative juices to once again flow, I asked her to connect me to Whitney so I could learn more. I knew in my heart that I wanted to create more. My Zentangle training had awakened my Artist Within and now I wanted to continue on that journey. Although I grew up in a family of artists, I never had any formal training, and I always thought that I needed formal training to be called an artist. One of the first lessons I learned from Whitney was that I was an artist! My Artist Within wanted to get out and begin participating in the art that was my life! Because, you see, just as you create art from a blank canvas, you create the life you want on the canvas of your soul. How exciting is that?? Although I wanted to be creative, I needed guidance. Whitney became that guiding force through her program, now called VISION QUEST. As I began creating art on a daily basis (even for as little as five minutes), I began to understand that my right brain had been dormant for way too long. I’m a pretty organized person (if you go into my closet you’ll see that all my shoe boxes are labeled…okay, okay, maybe a touch of OCD – LOL) and I keep track of my life with my calendar and to-do lists. My left brain was so strong that my right brain was crying, “help me, I’m melting!” My left brain was the dominant force and my right brain really, really wanted to have a say. Through the Creatively Fit/Vision Quest experience, my right brain is getting stronger every day, providing me with insight and understanding of the infinite possibilities that can and are occurring in my life these days. I’m now using art making as an expression of my life! The connection between personal creativity and personal growth and fulfillment is real and your Artist Within knows it. YOU have an “Artist Within.” Your Artist Within lives in your right hemisphere and is the part of you that thinks intuitively, fearlessly, and creatively. You might also call your Artist Within your Higher Self, your Soul or Spirit. It is infinitely creative, infinite in its perspective, and the only part of you that can CREATE miracles, joy, passion, and radical AUTHENTICITY. ART making is SO much more than creating product; it’s about creating a life that is ART! So, would you like to ignite your passion, experience more ah-ha’s, enjoy more excitement and feel less stressed? 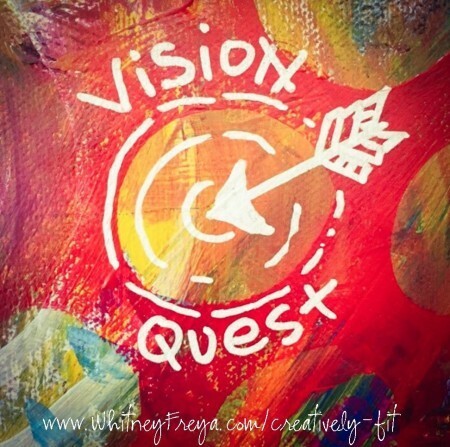 Join me on the VISION QUEST journey this September (open the EVENTS tab). If you are anything like me, you’ve spent hundreds, if not thousands, of dollars on books, online courses and other “stuff” that is probably STILL sitting on your bookshelf and in your computer! The Vision Quest experience will provide you with accountability and you will never be the same! I will accompany you on that journey every step of the way! Commit to four months – change WILL happen. Your Artist Within WILL be unleashed! YOU can become part of this “tribe” THIS SEPTEMBER 2015! You want to create change, to invest in what you know is POSSIBLE for you, and to open up and expand the way you feel about your life. 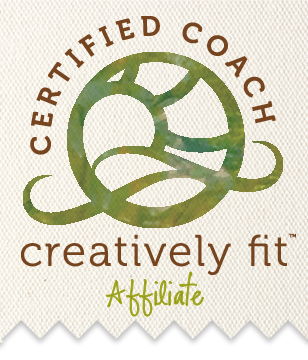 Your Creatively Fit Coach [ME :)] is here to hold you accountable, tailor the experience to your needs and love you through the process. It starts SEPTEMBER 11, 2016, and ends JANUARY 11, 2016! Here’s where you’ll find all the information — Open the EVENTS tab once you arrive at the site. We are combining personal creativity, art making, spirituality, self-awareness and personal transformation in a whole new way. Not just for a weekend, or an evening. It won’t be experienced on an isolated page somewhere in cyber space. It will be personal, interactive, communal and expansive. Big change requires time and integration, guidance and inspiration, support and contrast, creativity and courage. Four months from now, you won’t remember what it was like to NOT be surrounded by your own original art, your talismans and messages from your Soul. You WILL remember your purpose, your passion, your own special “secret sauce” that is what you, and only you, can bring to the world. You WILL remember that, in fact, you are the sole CREATOR of your experience and you WILL remember how to take back that power. Watch out world. Here YOU come!